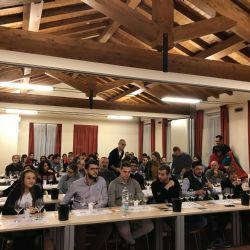 On 15th November 2018 at the Gasparini Residence of the Università Cattolica del Sacro Cuore took place the tasting of wines produced with ERVI, a vine obtained by Prof. Mario Fregoni in the '70s from the cross between Barbera and Croatina. 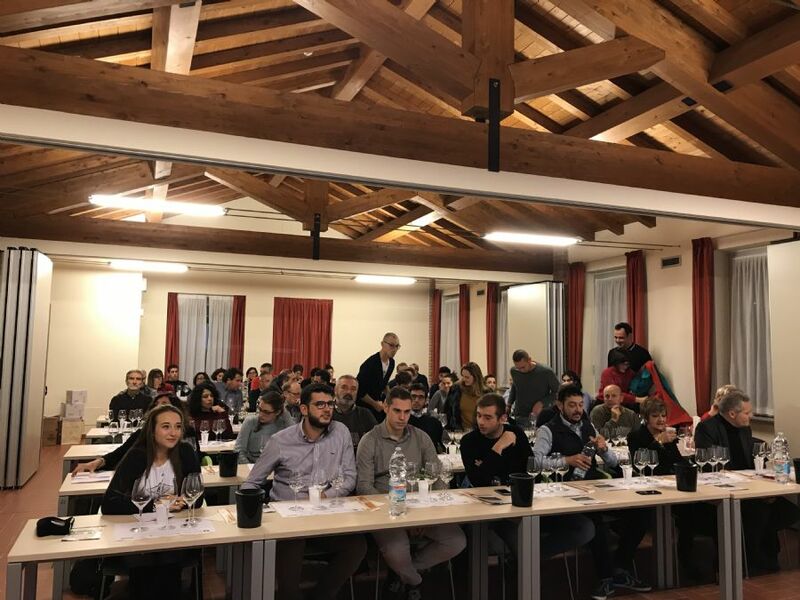 The event organized by Vinidea together with the Università Cattolica del Sacro Cuore of Piacenza - in collaboration with the local branch of the ONAV - has allowed for the first time to taste the wines of this new variety produced on a real scale to the operators of the sector, winemakers and wine enthusiasts. 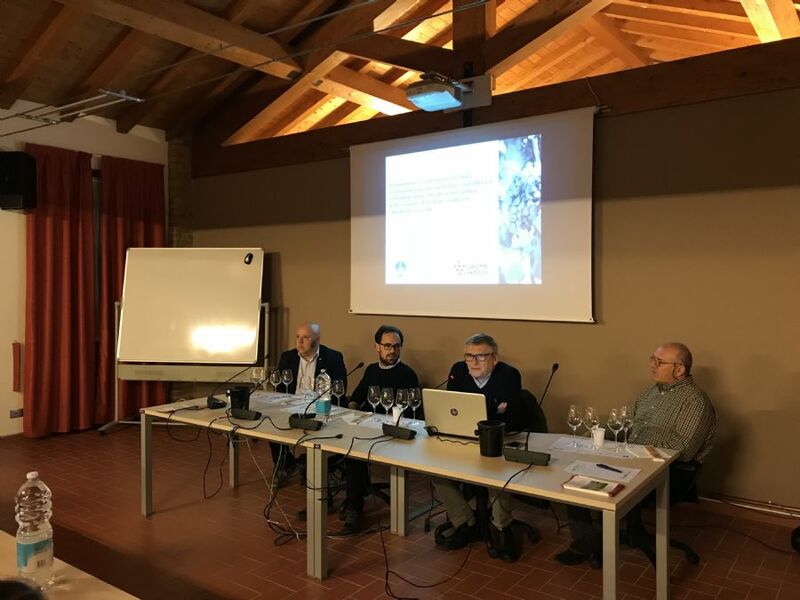 The tasting was introduced by Prof. Stefano Poni and Prof. Matteo Gatti with a summary of the first experimental results obtained within the ValoriVitis Project. 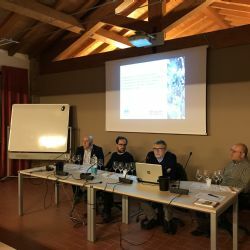 Three wineries from "Colli Piacentini" region have proposed for tasting the wines produced by ERVI in purity: Villa Rosa by Andrea Illari, Mossi by Marco Profumo and Tenuta Borri by Andrea Pradelli. 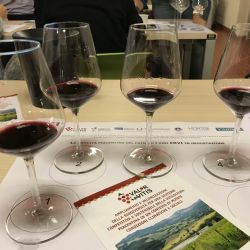 The winemakers presented their wines telling their agronomic and enological experiences with this vine variety. 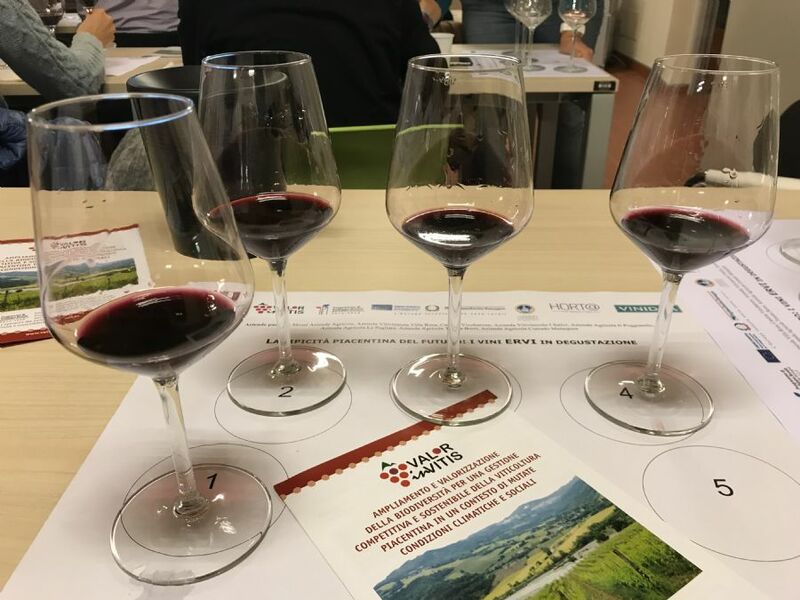 In order to identify the sensorial peculiarities of the vine, the wines produced with ERVI have been tasted together with wines that represent the wine-growing tradition of the territory, such as Barbera and Gutturnio. 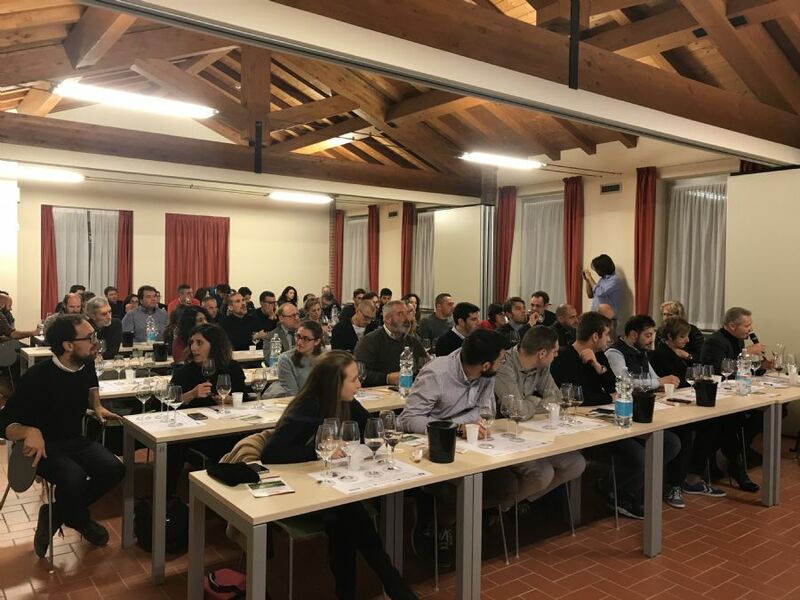 Over sixty participants of the event had the opportunity to evaluate the organoleptic characteristics of ERVII: abundant color with purple hues, an intense but not astringent tannin, balanced acidity and intense hints of fresh fruit, with notes of sweet spices already evident in the young vintages. 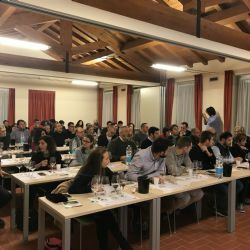 The new cross has proven to be capable of producing very interesting wines also targeting the international market.